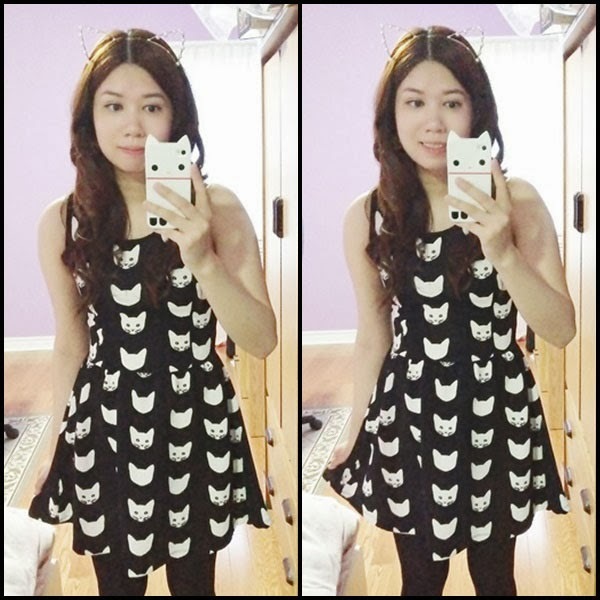 I LOVE this cat print dress that I bought from H&M back in the summer. It's actually very thick and warm so please don't think I am crazy for wearing a dress in this super cold weather. 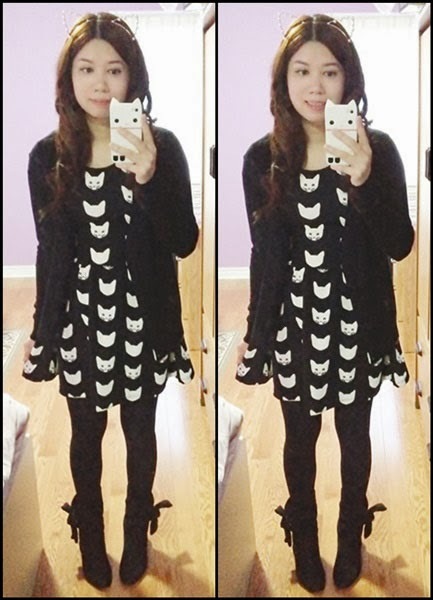 Well, maybe I am kind of crazy because I'd wear dresses all year round whether it's winter or summer, haha. 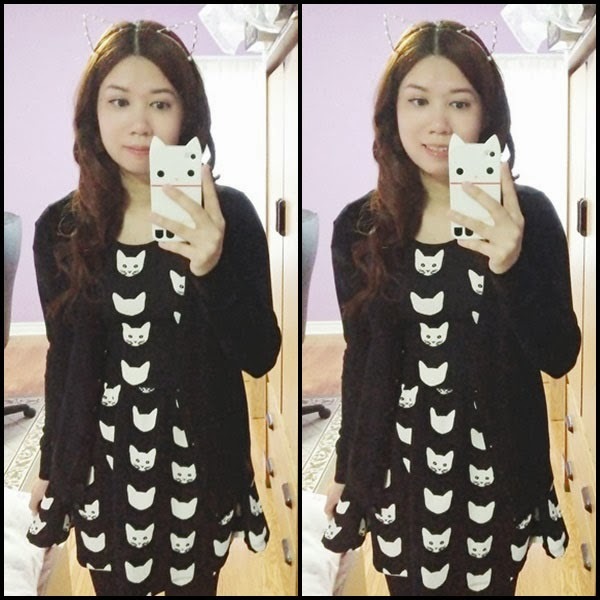 But I layered it with a thin cardigan for extra warmth and wearing the cat ear headband I bought from eBay to match with the outfit. I'm just missing some cat print tattoo tights. Maybe I should get that for spring/summer. I went out for dinner last Friday with a friend at Mabu Station 麻布小館 which I have blogged about before. I wanted to try their famous toast bread decorated with fruits and sweets on top. We ordered popcorn chicken to eat as an appetizer.